Product identification distinguishes your brand. A well designed nameplate can differentiate your product from others in the market. Nameplates and badges reinforce your brand value while ID plates and safety labels communicate important information for the proper use and operation of equipment – but only if they stay in place as intended. 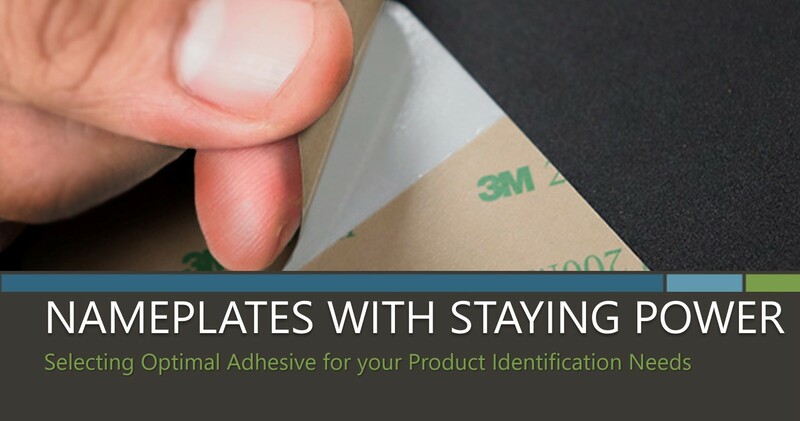 Adhesives provide secure attachment for product identification from decorative nameplates and labels to industrial ID plates and overlays. At McLoone, we offer custom and innovative solutions to fit your unique needs. We work closely with adhesive manufacturers to provide you the best solution.